In 1908, Crowley started an iconic business line and established a new motto that is still associated by many with the company to this day. That year, we expanded into the tugboat business to tow flat-bottomed scow schooners in San Francisco Bay. Though scow schooners could set sail independently, their activities in the Bay necessitated towing due to their heavy loads and the prevailing currents. It was also that year that Crowley adopted the motto – “Anything, Anywhere, Anytime on Water” – painting it on company vessels, including the Scotch boilers on Crowley’s barge No. 56 (shown). 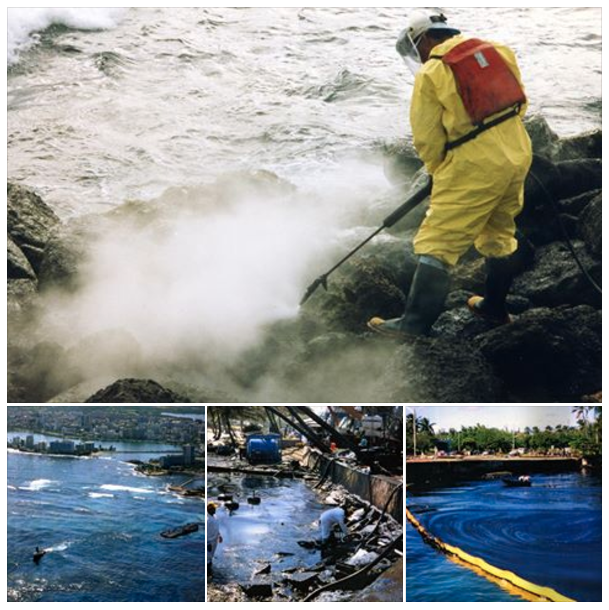 In 1994, Crowley played a leading role in the cleanup of the barge Morris J. Berman’s major oil spill off the beaches of San Juan, Puerto Rico, deploying a special spill response barge it had positioned in the harbor. “While the spill took more than two months to clean up, Crowley’s response to an otherwise tragic situation made a lasting impression on the citizens of Puerto Rico,” said one local employee at the time. 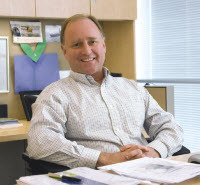 Crowley has been a pioneer of bulk fuel transportation, having designed, built and launched its first oil barge in San Francisco in the late 1930s. Barges at the time had wooden hulls with tanks above and below deck. 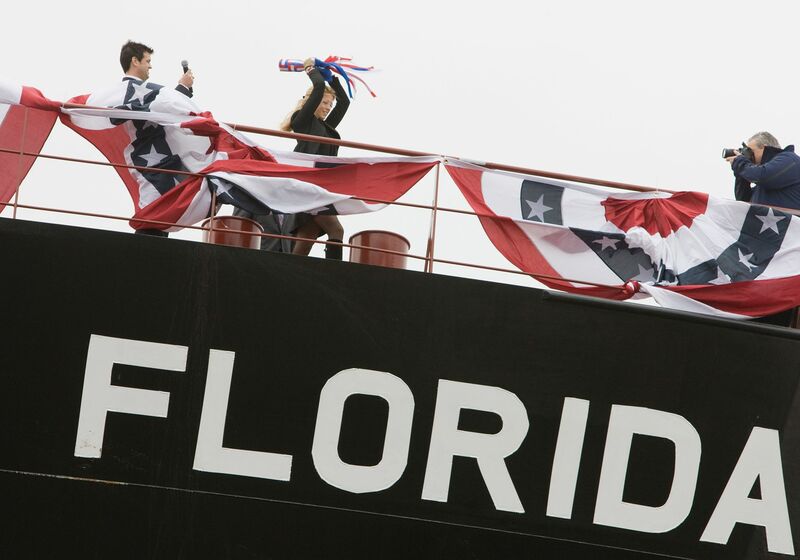 Fast forward to 2013 and this #TBT memory when the company christened the tanker Florida. The 330,000-barrel vessel was immediately put to work in the U.S. Gulf of Mexico for a major energy customer. In 1958, Crowley made history as the first company to penetrate the Arctic with commercial tug and barge services. The project, called “Cool Barge,” resupplied the U.S. Government’s Distant Early Warning (DEW) Line – a radar and communication system in Alaska and the northern Arctic. Timing deliveries was critical because of the short summer season (usually about 6 weeks) when the ice pack retreated from Pt. Barrow on the North Slope and offered a small window for vessel traffic. 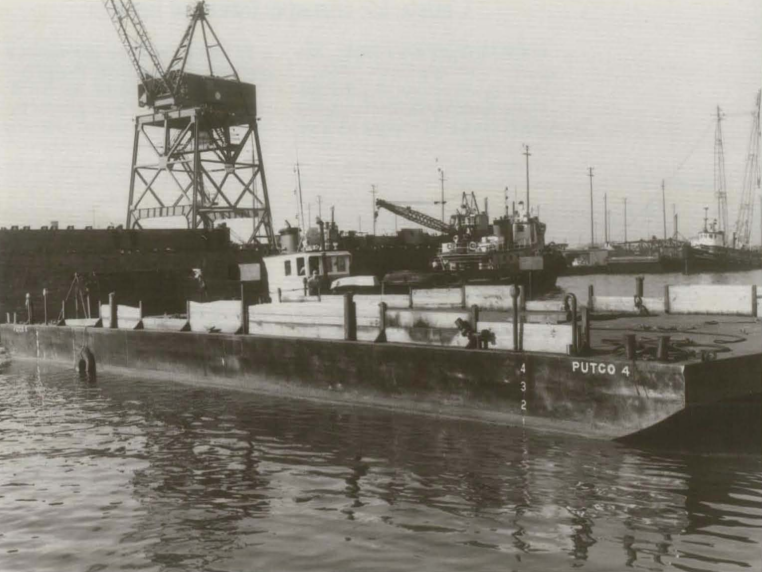 Photo: The small refined product barge Putco 4, shown in Seattle, lightered DEW Line cargoes ashore in the Bering Sea for Puget United Transportation Co.
After completing the first Arctic sealift of oil industry cargo to Prudhoe Bay, Alaska, in 1968, Crowley went on to execute the largest non-military sealift in history at the time in 1970, delivering 36 barge loads of pipe, casing and other oil field materials (shown) to the North Slope.